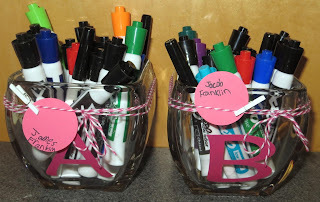 I think I give dry erase markers every year for our teacher gifts, but they are so useful and run out all the time! So, here's more dry erase markers for this year too! I seem to package them a little differently each year though, so here's the picture from this year. 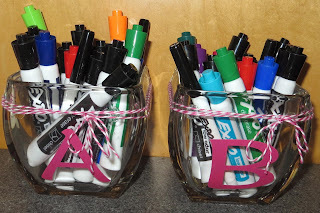 I got the glass vases at Walmart and added a vinyl initial and baker's twine. 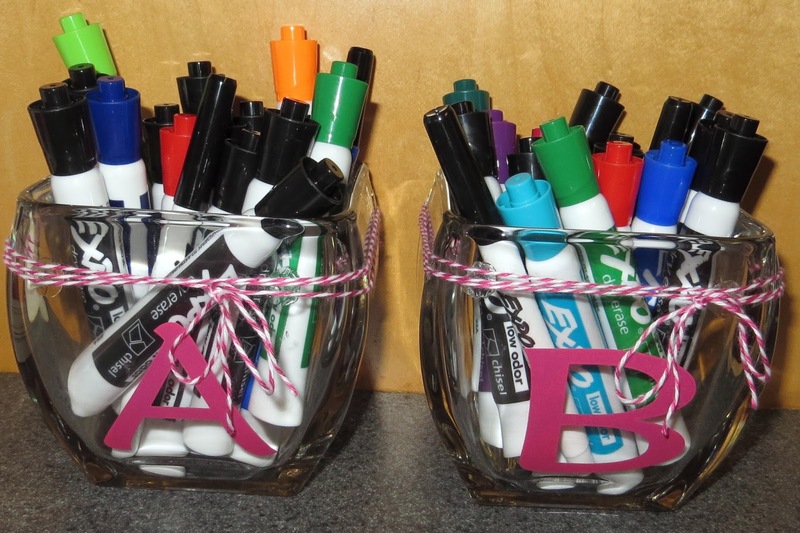 Cute and practical!